Is that one of the new line from the old manafacturer of perfecto. basically they ditched perfecto and created their own brand which is pretty much the same. 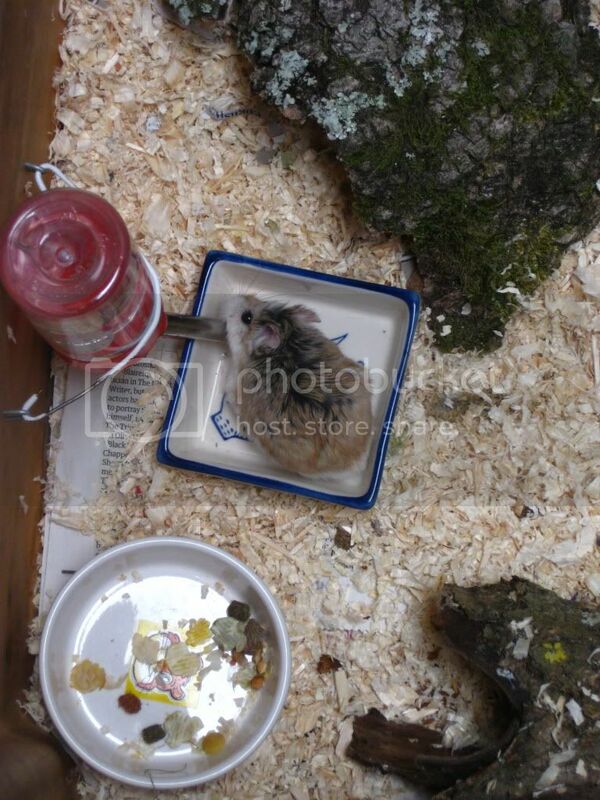 They are excellent for exotics... but back to hamsters i would have said with it being higher that it is wide and long chinese would be the better option as they do enjoy climbing. 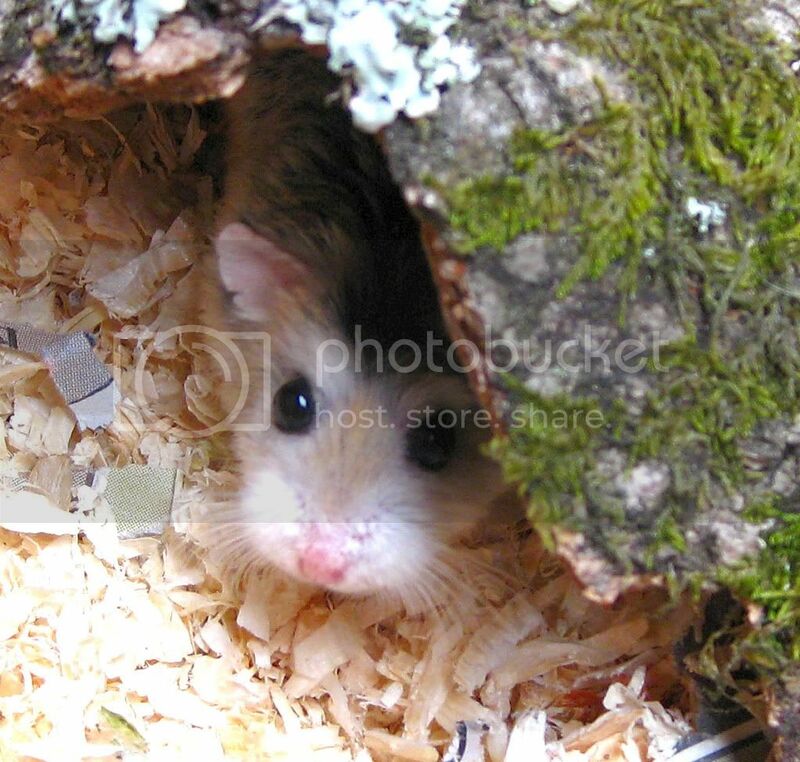 Unfortunately floor space tends to be the best option for hamsters and they are terrestrial as opposed to something such as the African dormice i have which are arboreal and use height more than floor space. Yes it is like a perfecto Alex! I think one Chinese dominant spot male would be nice in there. Do you have one that would make a good show ham for the North? Unfortunately not many around at the moment souf, i have a nice dom spot male who is 7 weeks and a good size but nothing amazing. having said that currently there havent been any consistent winners in the dom spot classes so it really does depend on the judge. He is from BEW lines and was one of only 2 pups 1 BEW 1 Dom spot. PH is determined to have a domi spot nice though normals are. Do you have a piccy? I have the IMAC fantasy cage for my robo's (well one robo now sob sob!!) And they've have tons of fun in there for nearly 2 years, even though it's 2 levels the tube going up too the second level isn't steep, and they've managed it from 7 weeks old. Will post pics later. Mine also love wheels, although i was told they may not like it, mine can't live without them lol. 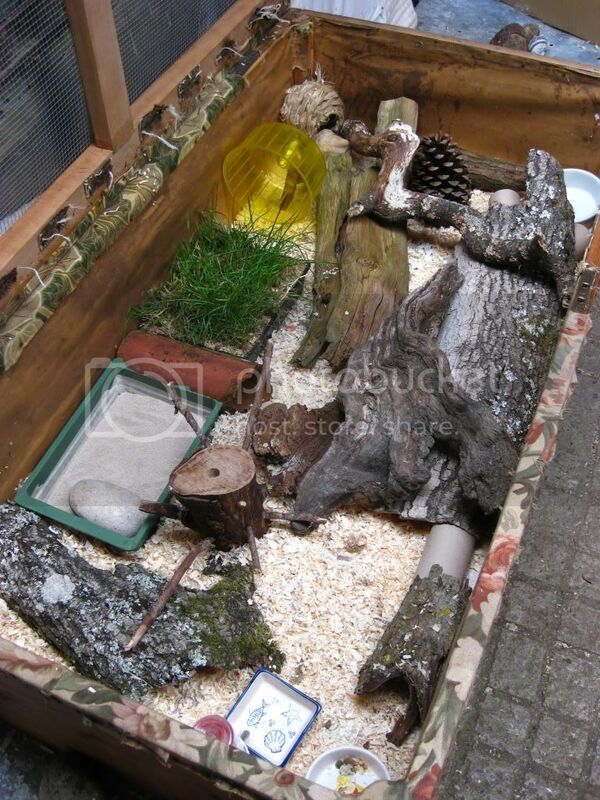 I also have a huge hexagon playpen for them to run around in with more toys, such as a burying wooden box and critter trail school bus and various seesaws and tubes to hide in. all of these cages are so fab! The natural looking tank is another fave, i would love to try that in future. hi -some really great home ideas on here! I thought I would put some piccies of my own robo home on here, it is actually some sort of furniture that we found at the recycling centre, and we adapted it into a home with some wire mesh for the lid, and nails and wire for the water bottle holder. The inside is a waterproof material which is easily cleaned, and the sides are just deep enough that he cant climb out easily, but shallow enough to allow for good ventilation and light. Great cages both of you! Tammy, i am very jealous of you having that 4ft tank!